If you are the victim of a truck accident due to the negligence of others, it is vital to recover the maximum compensation to account for your medical expenses, damages, and lost wages. Home > Blog > Why Truck Accident Personal Injury Cases Are Different From Car Accidents? Not all personal injury attorneys in Utah are the same. One of the most common mistakes made by accident victims make is choosing the wrong legal professional. For example, not all personal injury attorneys are able to handle all types of motor vehicle accidents. 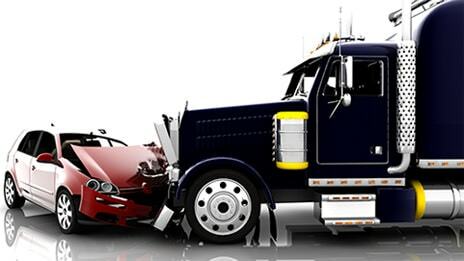 Did you know the legal process and procedures for car accidents and truck accidents are completely different?. Choosing the right attorney can often make the difference between recovering the compensation you deserve or getting short changed. If you have been involved in a motor vehicle accident, here are some important factors to keep in mind. The average semi-truck can weigh up to 80,000 pounds. When traveling at high speeds, they can pack a devastating amount of force. Due to the enormous size and mileage compiled by commercial trucks, they often carry insurance policies 50 times greater than the average passenger vehicle. They can also inflict much more damage. In many cases, truck accidents in Utah are far more likely to cause catastrophic injuries and wrongful death. In some instances, these insurance policies for commercial trucks are often worth millions of dollars. Due to these huge policies, insurance companies will do just about anything to find a way out of liability. They will often place their best adjusters in commercial trucking accident cases. These adjusters will often use confusing and complex tactics to reduce the amount of liability for their client. Without the right legal representation, accident victims could face the possibility of receiving an underpaid or denied insurance settlement. Many of the commercial trucks seen on Utah’s highways are transporting and delivering goods and services to different states. Truck companies and their drivers must register with the Federal Motor Carrier Safety Administration and the Department of Transportation. Because commercial trucks travel through different states, trucking companies must comply with far more regulations than the average vehicle on the road. When choosing a personal injury attorney, it is vital to select an attorney that has a complete understanding of these laws and regulations. Many car accident attorneys may not have a firm grasp of these laws and it can cost clients when it comes time to recover their settlement. A collision involving two cars traveling at a slow speed can cause damage to your vehicle and may require treatment for injuries. But when an accident involves a large commercial truck, it can result in catastrophic injuries and even death. Due to heavy regulations and hefty insurance policies, recovering the maximum settlement from a truck accident in Utah can be more challenging. Truck accidents are often the most serious personal injury cases. Just one accident can result in catastrophic injuries that may require a lifetime of medical attention and treatment. If you are the victim of a truck accident due to the negligence of others, it is vital to recover the maximum compensation to account for your medical expenses, damages, and lost wages. The first step is to seek representation from an experienced and knowledgeable legal professional. Over the years, Farmington personal injury attorney Joseph Jardine has utilized an aggressive and comprehensive approach to help place accident victims in the best position to succeed. He and his legal staff understand the challenges and obstacles accident victims face on a daily basis. Do not take chances with your legal representation. To learn more, contact the legal team at the Jardine Law Offices, P.C. today and schedule a consultation to discuss your case.